Almond oil is one of the most beneficial carrier oil for your skin. Using almond oil for skin can help you get a healthy and flawless skin. It is very effective in reducing fine lines and wrinkles. It has oleic acid(monounsaturated omega-9 fatty acids) which has excellent moisturizing properties and prevent dry skin. It is also a rich source of vitamin E. Vitamin E is one of the most essential vitamins for your skin. 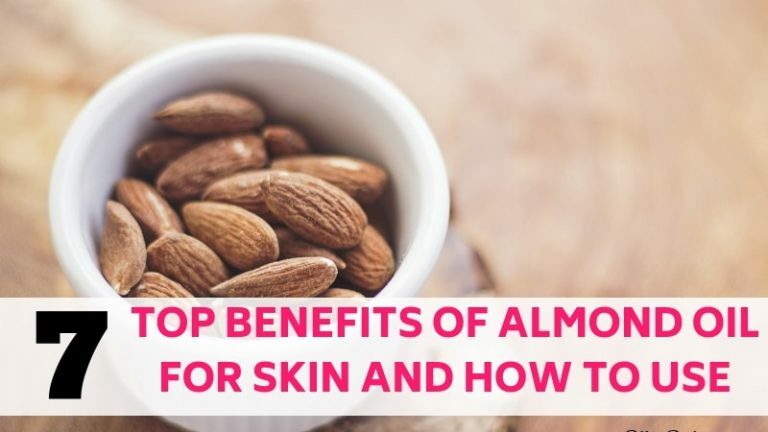 In this post, I am going to share the amazing benefits of almond oil for skin and how you can use it easily. The almond originated in the Middle East and South Asia, from Syria and Turkey to Pakistan and India. The oil is extracted from raw almonds. Almond oil has been used for centuries for cosmetic purposes. 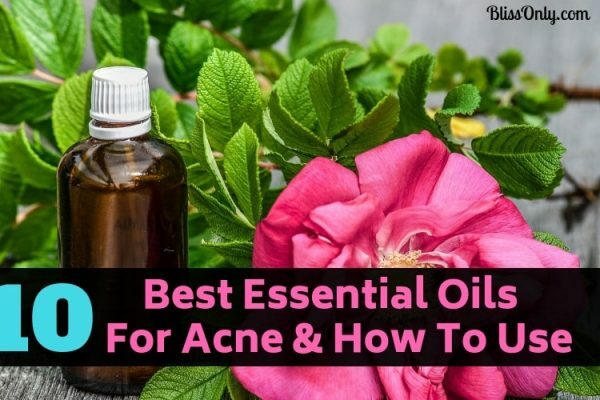 It had been used in Ancient Chinese, Ayurvedic and Greco-Persian schools of Medicine to treat dry skin conditions such as psoriasis and eczema. It also makes your skin smooth and rejuvenated(source). Almond oil is an emollient. This means it would hydrate your skin and make them soft. Almond oil is very beneficial for dry skin. It contains linoleic acid(polyunsaturated omega-6 essential fatty acids) which hydrates your skin and also prevent water loss. This makes your skin soft. It has oleic acid(monounsaturated omega-9 fatty acid) Which helps in moisturizing your dry skin. It also has anti-inflammatory properties which reduce inflammation and itchiness. Take one tablespoon of almond oil. Add 2-3 drops of sandalwood essential oil with it. Now pour the mixture into a dark-colored glass dropper bottle using a funnel and mix well by shaking the bottle. Take a few drops of oil serum and apply it to your skin. Repeat it twice a day. Sandalwood essential oil is one of the best oils for skincare. It soothes your skin and reduces itching. It has emollient properties just like almond oil. This helps hydrate your skin and makes it soft. Almond oil is very effective in preventing skin aging. It helps in reducing fine lines and wrinkles. It has a high content of vitamin E. Vitamin E is a powerful antioxidant which protects your skin cells from damage-causing free radicals. It increases collagen production which helps in reducing the appearance of fine lines and wrinkles. Replenishing collagen also improves the elasticity, strength, and texture of your skin. Excessive exposure of the skin to the sun is also one of the main causes of premature skin aging. The UV(ultraviolet) rays from sun damage skin cells and reduce the elasticity of the skin. The powerful antioxidant properties of almond oil protect your skin from those harmful UV rays. Studies also suggest that topical application almond oil on mice reduced the effect of UV light-induced photoaging on the skin(source). So you can say almond oil is one of the best carrier oil for reducing fine lines and wrinkles. Take one tablespoon of almond oil. Add 2-3 drops of frankincense essential oil with it. Frankincense oil is considered one of the best oil for aging skin. It is very beneficial for reducing fine lines and wrinkles. It has astringent properties which means it causes the contraction of skin cells to tighten the skin and reduce the appearance of pores. It improves the elasticity of skin and strengthens it. It regenerates skin cells to reduce the appearance of fine lines and wrinkles. Using the almond oil helps you get a glowing and flawless skin. It has powerful antioxidant properties which neutralize free radicals. This protects your skin cells from getting damaged by free radicals and prevents the appearance of fine lines and wrinkles. The high content of vitamin E boosts production of collagen. This improves the firmness, elasticity, and strength of the skin. As per a study conducted on mice, it was found that orally administration of Collagen hydrolysate to mice for six weeks improved the elasticity of their skin(source). Collagen also plays an important role in giving a natural glow to your skin. It also contains vitamin A which helps prevent acne breakouts. It moisturizes your skin. The emollient properties of almond oil make your skin soft and smooth. It also improves your complexion(source). Store it in a glass container. Use it as a daily moisturizer. Aloe Vera is well known for its alkaline nature. It helps in balancing the pH of skin as an acidic skin is prone to skin conditions like acne, sunburn and many more. It also moisturizes your skin. It has nourishing and healing properties which help rejuvenate the skin to give it a natural glow(source). Lavender oil contains antimicrobial and antioxidant characteristics that help in killing harmful bacteria in the skin, making it clean and healthy. Because of its antioxidant characteristics, it protects the skin from free radicals which could contribute to fine lines and wrinkles. It is also anti-inflammatory which helps in reducing redness and blotching of skin, leading to restore bright and natural skin tone. Almond oil is a very effective remedy for removing dark spots. Using almond oil on your face helps in exfoliation. Exfoliation means the removal of the oldest dead skin cells on the skin’s outermost surface. The exfoliation of the face will help to even out skin tone and reduce dark spots. Almond oil is light in texture and easily absorbed by the skin. This helps the almond oil to penetrate into the skin and remove dead skin cell from the outer surface. So give almond oil face mask a try to get rid of dark spots. Take almond oil and turmeric powder in a bowl. Now add lemon essential oil. Mix all the ingredients until you make a thick paste. Wash your face and hands first to remove impurities. Now apply the mask to your cleansed face carefully. Let the mask sit for 20 minutes. Repeat it 2-3 times a week. If you have any leftover then you can cover and keep in the fridge for your next application. 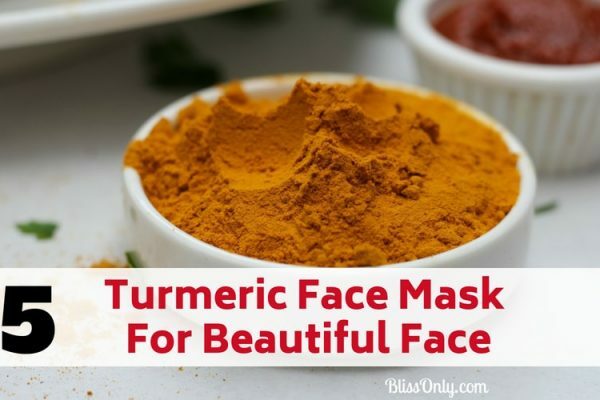 Turmeric is one of the best herbs that you can use for removing dark spots. It contains curcumin which restrains pigmentation in the skin by fading dark spots. Curcumin is what makes turmeric a powerful antioxidant that helps in evening skin tone by restricting the overproduction of melanin. Besides, the anti-inflammatory and antibacterial properties of turmeric heal your skin and give you blemish free skin. 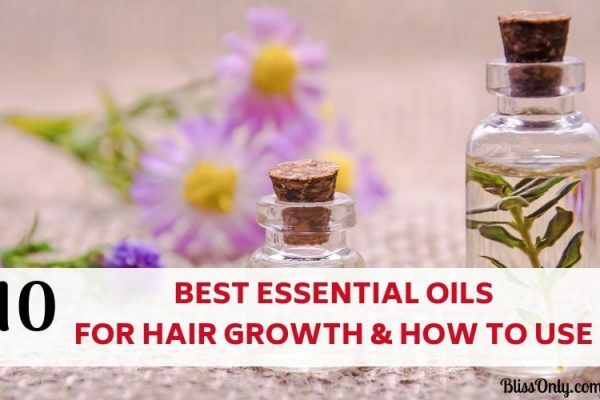 It contains fatty acids and phytosterols which have been observed in other studies to reduce excess skin oils (Source). It also unclogs pores and cleans it by removing dirt and dead cells trapped in the pores. Lemon essential oil makes a perfect combination with almond oil and turmeric powder for removing dark spots. It has antibacterial properties that kill bacteria living on the surface of the skin. This prevents your skin from pimples and acne. It has astringent properties which help in minimizing pores and drying up excess oil on the surface of the skin. This improves your skin complexion. Almond oil is a great remedy for dry and chapped lips. It conditions your lips and protects them from drying out or becoming chapped. It nourishes skin cells and moisturizes your lips, making them soft and supple. Take a bowl and put brown sugar and almond oil in it. Mix all the ingredients to prepare a paste. Now rub it on your lips gently for 2-3 minutes. Apply this lip scrub before hitting the bed. You can store it in an airtight glass container. Sugar is a natural humectant. It would attract moisture to your lips and prevent dry or chapped lips. It is also a great exfoliator which means it removes dry, dead skin cells on the surface and leaving lips smoother. Lavender oil is also a great moisturizer. It seals the moisture on your chapped lips. It also has a soothing effect on the lips. Almond oil is beneficial for your feet too. It helps you get rid of dry and cracked heels. Cracked heel generally occurs due to loss of moisture in the skin. Almond oil has excellent moisturizing properties which makes your heels soft and smooth. First, exfoliate your heels using a pumice stone then rub almond oil on them generously. It will add moisture and smoothness to your heels. Put on socks to lock in the moisture as you sleep. Repeat this process 2-3 times week for quick results. We all hate dark circles because it makes you look older than your actual age. Besides that, it also gives a noticeable flaw in your face. The reason you get dark circles is that your skin loses collagen. The loss of collagen makes your skin thin and also decreases its elasticity. This makes the dark blood vessels beneath your skin become more visible causing the skin under your eyes to darken. Using almond oil helps you to get rid of dark circles. It is high in vitamin E which helps in boosting collagen(source). The replenishment of collagen improves the elasticity of your skin. As I mentioned earlier vitamin E is a powerful antioxidant which would protect your skin cells under the eyes from damage-causing free radicals. This would prevent your skin from getting weak and thin. First, wash your hands then wash your face with your daily cleanser. Now take a few drops of almond oil and give a gentle massage into the skin under the eye where you have dark circles. Keep it on overnight and wash it off the next morning. Repeat it daily until you get rid of dark circles. Although almond oil is very healthy and beneficial, it is very important to take the following precautionary measures before using it. It is very important that you pick the right almond oil. Make sure you pick sweet almond oil only. The bitter one is toxic. If you have a nut allergy then you should avoid consuming almond oil or other almond products. Do not forget to consult your primary care physician before using almond oil, especially if you are on medication, as it has the potential to interact with certain medicines. For individuals with sensitive skin, almond oil may irritate the skin or cause it to break out. So be sure to do a patch test especially if you are using it on the dark circles under your eyes. This would make sure your skin does not have an adverse reaction. Using almond oil for skin would help you get beautiful skin. 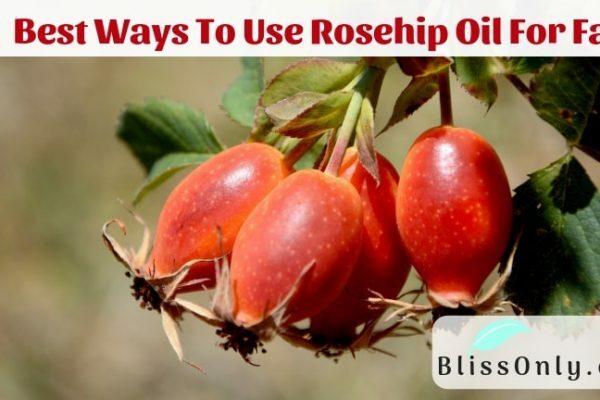 It is definitely one of the best carrier oils that you can use. In order to avail the benefits of almond oil, you must use it after taking the aforementioned precautions. So get a bottle of almond oil and start using it to get the long list of benefits that almond oil provides to your skin.